Ok, so I was settled on aubergine and brown and now keep thinking about the bottle green and rust. I've narrowed it down and it's between the aubergine/brown and the grey/blue one for me. As my daughter used to say when she was little "I haven't got enough decides in my head." I can attest to the green/rust being very versatile. Works with all the usual tailored jacket colors. Also great with leather. 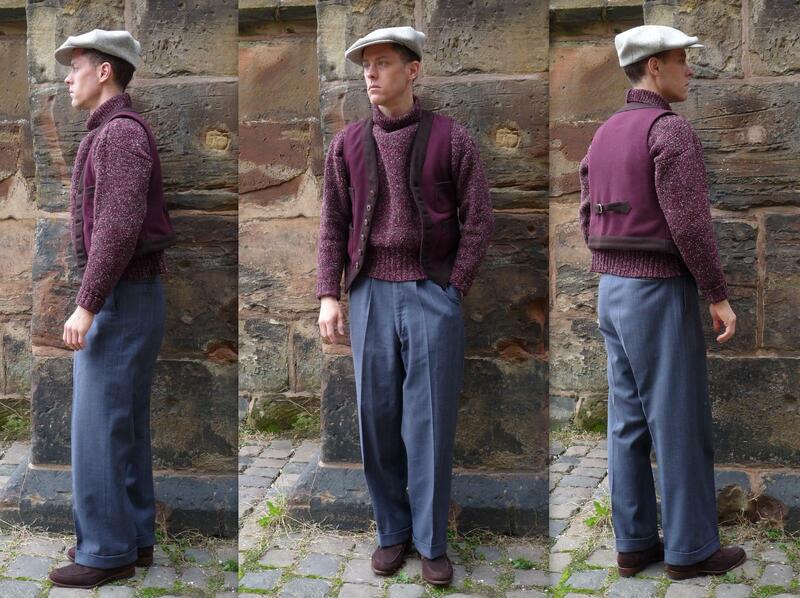 Then again, all the waistcoat colors work really well with a wide range of clothes in my opinion. The navy torso colored weskits are the only ones that feel more specific to me, but they're stunning with the right clothes and have great potential for unexpected combinations such as the navy/mustard that I was wearing with a dark brown leather jacket. As far as texture goes, the melton works especially well with leather, denim, tweed, serge and similar hardwearing fabrics such as heavyweight gabardine. I can't wait to see pictures of the waiscoats beaten and used. They look too clean and cripy at the moment! I'm not sure if I'll be getting one though, probably yes. (11-02-2016, 10:47 PM)willyto Wrote: I can't wait to see pictures of the waiscoats beaten and used. They look too clean and cripy at the moment! I'm working on that with the maroon/brown. I like the idea of buying one a size too big for me, then once it is a bit battered, wearing it over a submariner jumper. I think it would look odd in a very distinctive way. (11-03-2016, 08:51 AM)Sean Longden Wrote: I like the idea of buying one a size too big for me, then once it is a bit battered, wearing it over a submariner jumper. I think it would look odd in a very distinctive way. I like your thinking! I'd like to get Aero's Shackleton jerkin to wear over a submariner, as they have in their product images. It's a very good look. But one of these melton weskits would also look great like this. Simon, could we see one with one of the SJC submariners? (11-03-2016, 07:44 PM)nortonofmorton Wrote: Simon, could we see one with one of the SJC submariners? 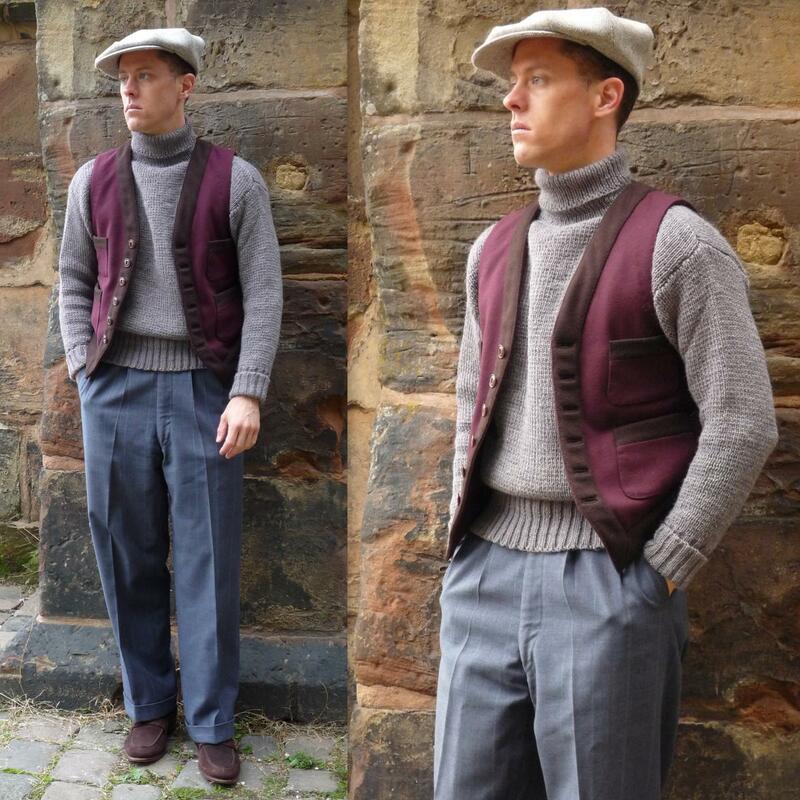 I'll shoot a few outfit pics with melton waistcoats over turtlenecks tomorrow for you and post them here. And a cardigan over melton weskit while I'm at it. I'm sold on the Aubergine & brown, should I order my normal chest size 46"? Go by your actual chest circumference and choose that size. 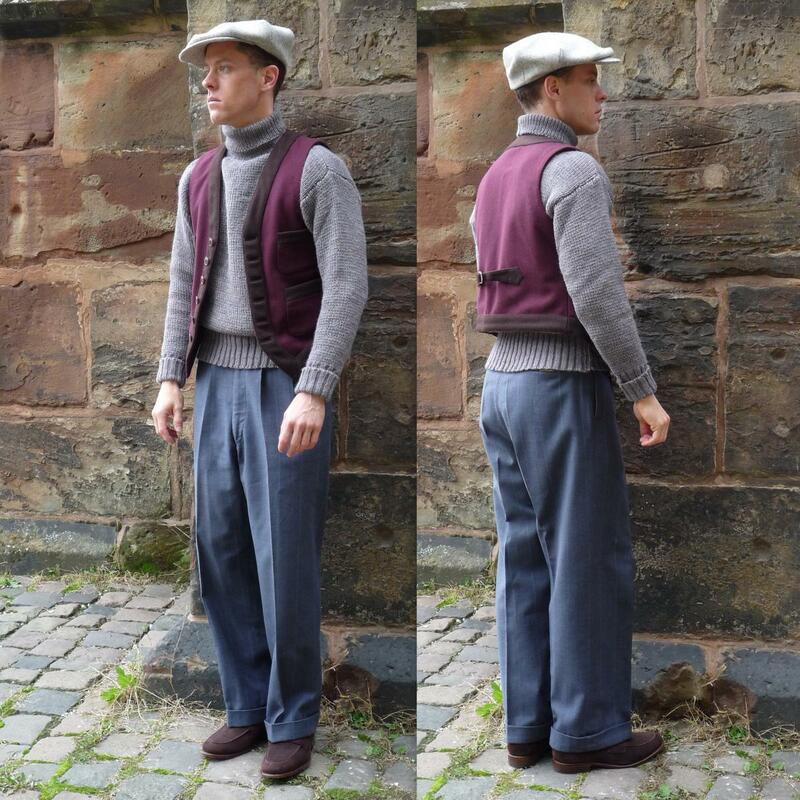 Waistcoats are cut a little lower in the armhole, so the chest is effectively a tad wider and that's exactly the allowance you'll need. Thank you, Sir! Most kind of you. 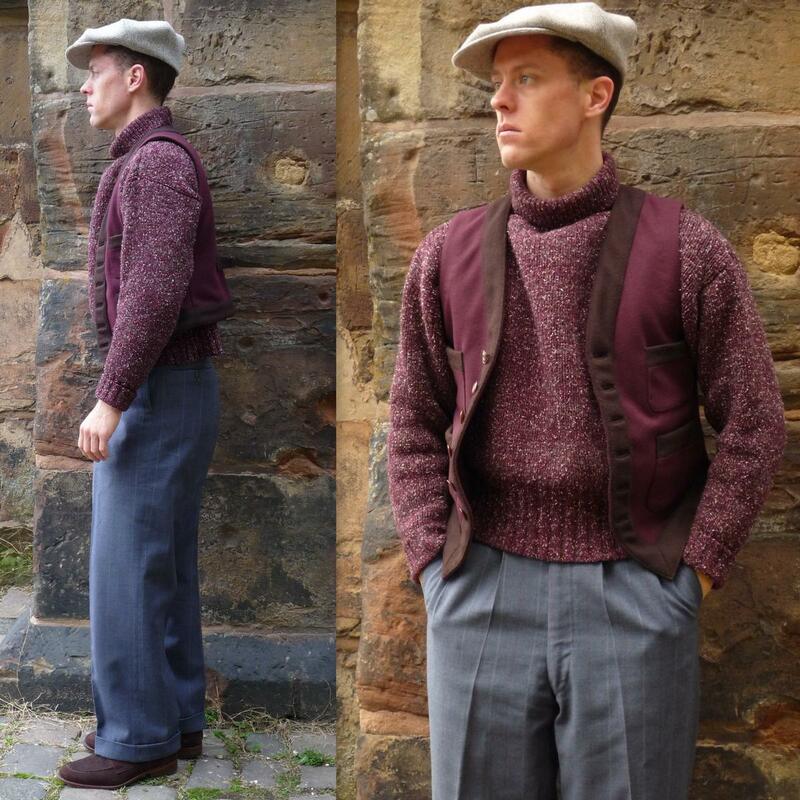 Maroon waistcoat worn with really chunky, hard wool, heavyweight knitwear. 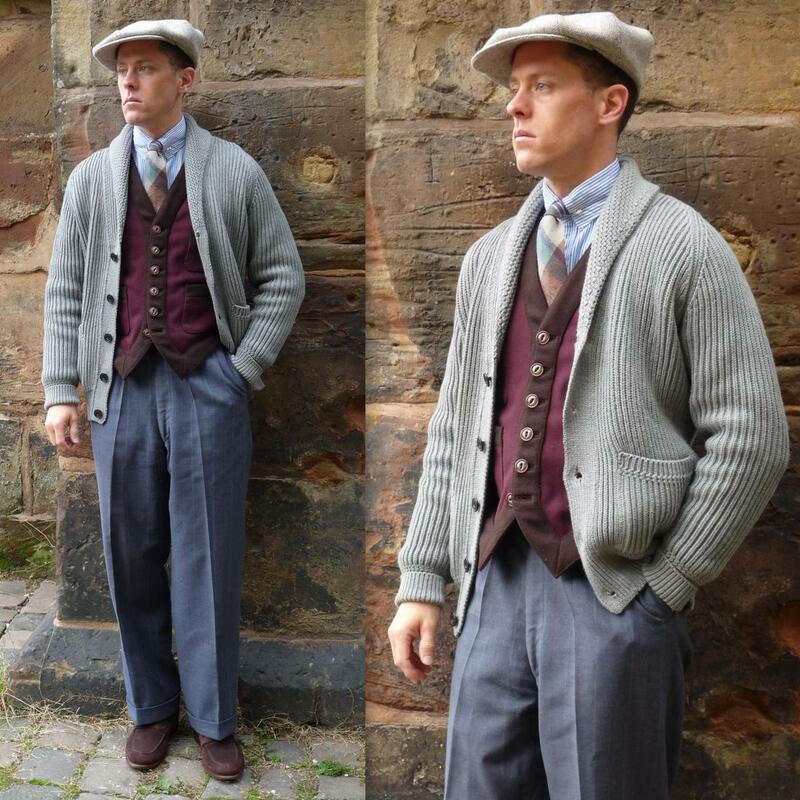 Love the look with the cardigan.